Fans of Roshani Chokshi’s spell-binding bestseller The Star-Touched Queen are in for a treat with EW’s exclusive cover reveal and excerpt from the upcoming sequel A Crown of Wishes. The new novel follows Gauri, the younger sister of the titular Star-Touched Queen, on her harrowing quest for freedom. When Gauri, the princess of Bharata, is captured by her kingdom’s rivals, she can only find help in Vikram, the cunning prince of an enemy kingdom. Unsatisfied with royal life, Vikram offers Gauri a chance to win back her kingdom in exchange for her battle prowess. They set aside their differences and team up to compete in the Tournament of Wishes, wherein the Lord of Wealth promises a wish to the victor. Every which way they turn new trials will test their wit and strength. But what Gauri and Vikram soon discover is that there’s nothing more dangerous than what they most desire. Re-reading binge continues with City of Glass. The action picks up shortly after the events of City of Ashes. Preparations are being made to travel to Alicante in Idris. Clary is on a mission to save her mother. Jace tries to leave Clary behind, but the determined Clary makes it anyway. Along the way, the group comes across several new characters – all of which have an impact on the story. The most important being Sebastian – who isn’t all he seems. They’re hurtling toward a battle with Valentine and his demon army. He’s certain his hidden followers in the Clave will ensure loyalty to him. He never expected the Clave to align with the Downworlders. It’s clear that this was originally intended as a trilogy, but enough things are left open for the second trilogy to take place. The battle with Valentine is over, but the battle against Sebastian has only begun. 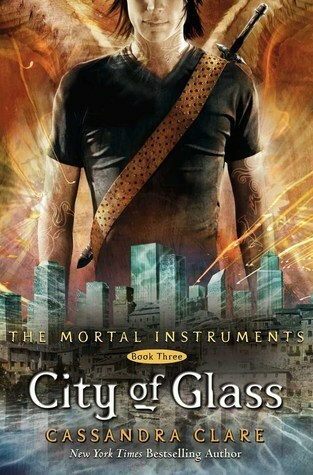 I really enjoyed getting to see even more perspective in City of Glass than City of Bones or City of Ashes. I really loved having more interaction between Alec and Magnus. I also enjoyed a closer look at Isabelle. She’s a tough warrior, but she also has her own insecurities. I found myself torn over Aline again. I like getting to see other Shadowhunters, but she also feels like an annoying character. She feels like she’s one that has to grow on you. I will say that the length got to me this time around. Not sure why, but it felt like I was reading two books in one. It might be because I’m excited to see where everything ends up or it might be because I’m trying to remember what happens in each book. Obviously being longer, there is much more chance for action. City of Glass definitely has highs and lows in action and slowly reveals everything that was alluded to in City of Bones and City of Ashes. I do believe that you can read the first three books as a trilogy and not feel you have to commit to a six book series. However, I do think the events in the first three are necessary to the story for the next three. I do not see the second trilogy as standalone in their arc. They are reliant on the first three books. Once again, I was immediately sucked back into Cassie’s incredible Shadow World. I’ve been to New York City once, but between The Mortal Instruments and Melissa de la Cruz’s Blue Bloods, I feel that I know it much more than I learned in that single visit. I love that both star in a club scene. I’m much like Simon in not caring for clubs. I’ve only been a handful of times. I think that Clary is a very strong and magnetic leading lady. She is thrown into a horrific situation and is able to relatively together. I’m sure it’s part of her Shadowhunter legacy over her strengths as a 15/16 year old. I absolutely love Simon. I think he’s the true scene stealer of City of Bones. As a whole, I consistently love him. Yes, he irks me occasionally, but not as much as others. He’s the best best friend Clary could ever want and most definitely needs. He has a lot thrown at him, but he remains calm and stays by Clary’s side. A true friend for sure, sticking with her through thick and thin. Jace is a strong personality to swallow. He’s so full of himself that during a first read, it’s easy to dislike him and wonder what the crap Clary is thinking. Multiple reads and it’s still irritating, but you’re more sympathetic to his issues. 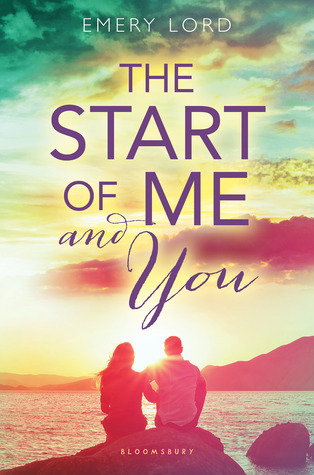 Isabelle and Alec are introduced and set up to become excellent secondary characters. Isabelle is so sassy and I love it. Alec is well, Alec. Like Jace, he’s on the rough side to handle in the first read and then he becomes so endearing. On my list of villains, Valentine is definitely one of the better ones. Much like Voldemort in Harry Potter, he’s a shadowy and feared name an dno one knows if he’s alive or dead. I think not knowing is worse than Valentine himself in City of Bones. 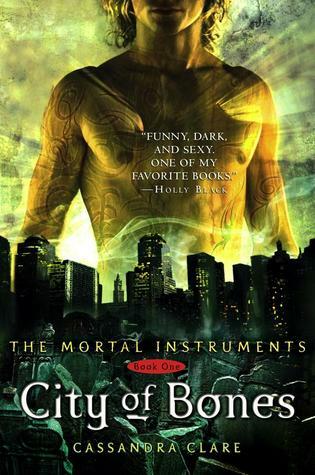 I find him a much more intimidating figure in City of Bones the book than the movie. As much as I love Johnathon Rhys-Meyers, I thought he was horribly miscast for Valentine. For a debut novel, I think City of Bones is a well put together story. The world building and characters are incredible. It’s full of actions and twists and turns. Every time I’ve read it, I’ve breezed through it. I highly recommend it and the series. I think it’s worth the hype. Will all of the future spin off series set in the Shadowhunter universe be as great? I can’t say. I do think this is a good paranormal series that can be enjoyed by young adult readers of all ages.